It’s been more than a month since the tragedy occurred, and relief efforts are still taking place. Immediate relief efforts are starting to transition into ones that are aimed at recovery. I’ll introduce some here. ADRA, which was initially providing hot food and supplies to those affected, started to help facilities clean up the mud and debris that the tsunami brought in. The mud needs to be cleared up as soon as possible to ensure that the unsanitary gunk that is in the sludge will not ruin the facility. On April 12th, they cleaned up 2 rooms and the kitchen of a nursing home in the area. This process is very physically demanding, as the mud is sticky and cannot be washed away simply with water. 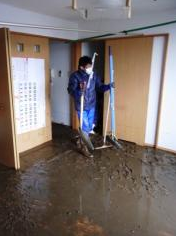 The volunteers had to first move out all of the furniture, then shovel out the dirt with small shovels for hours before they could hose the facility down. Inside the furniture covered with mud, there are many memories of those who lived there. Clearing this out means getting rid of all of their cherished memorabilia, including casette tapes with their favorite songs, books that they have read multiple times, souvenirs from vacation spots. 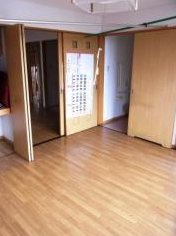 The person who lived in this room said “Before, I could not even touch these things even if people came to help clean up. It’s hard to have the resolve to throw away these things.” The volunteers could not offer any words, but spent their time meticulously cleaning up the room to the best of their abilities. By the time they finished cleaning, the resident thanked them by saying “Thank you. It’s very clean now. I have to keep my head up from now on, don’t I?” The volunteers were touched at the person’s strength to go on despite the severity of the disaster. Civic recently made a youtube account where you can check out the situation of volunteering that’s happening over there. So far, they’ve compiled donations from 85 companies and passed out 209 tons worth of supplies. 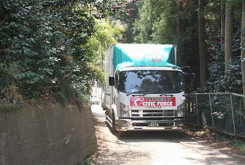 They recently set up a regular truck shipment to Kesen-numa city, sending 10 4-ton truck filled with supplies everyday. Civic Force is trying to target smaller shelters that do not receive regular shipments from large organizations; recently, they found a shelter providing assistance to around 300 people that only receives shipments of supplies once every 3 days. Furthermore, the elderly often cannot make the long trek to other supply storage facilities, so this location is their only source of food and other necessities. Civic Force has received much praise for their quick delivery of necessary goods. At Minami Sanriku-city, some people shed tears at receiving canned tuna, as it reminded them of the tuna that they used to fish in their ports. “I’m truly shedding tears, I’m so glad to be alive” they said, as the truck drivers helping with delivery of the supplies told us “I’m glad I am doing this job”. Staying in a shelter for weeks is emotionally exhausting, especially for children who just want to go outside and play with their friends. After hearing these things, Peace Winds Japan wanted to provide the children in these areas with happiness, so they got Studio Ghibli (the studio that made Totoro, Spirited Away, etc.) to provide them with DVDs of their movies along with screening devices. 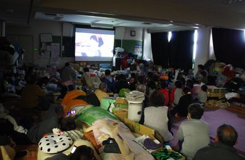 When the movies were shown on the screen, the children sitting in front and adults resting on the blankets gave cheers as they watched the movies (Totoro and Kiki’s Delivery Service) in earnest. That’s all for now; as you can see, the recovery efforts are slowly transitioning from relief to recovery oriented actions. Please keep donating to help Japan! Today, one of the largest aftershocks (M 7.4) hit Miyagi and its surrounding prefectures. Help is still needed, so please keep donating! A very quick update I found on the blog of Nippon Foundation’s chairman, Yohei Sasakawa. Organizations such as the Japanese Red Cross and media agencies (newspapers, TV stations) are collecting “gienkin”, which will be compiled to an official distribution organization of each prefecture. The organization, made up of Japan Red Cross, mass media, self-governing bodies of local towns, and specialists, must divide the collected funds equally among areas of the prefecture that are affected the most. However, this deliberation process takes a long time, and there was a case during the Hanshin earthquake where the distribution could not be decided even after a year, becoming a problem at the national assembly. This is why donations for short-term efforts need to be directly donated to the local NGOs, or otherwise donated to Nippon foundation, a foundation which distributes funds to local NGOs to be used. The Gienkin that you donate to Japan Red Cross will be used all towards their recovery efforts, but it will just take longer. 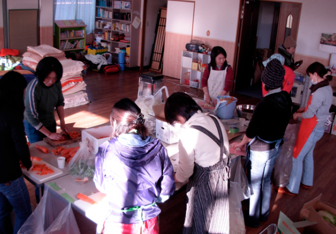 Also, here is a link to a great blog run by one of our friends who is volunteering in Japan; many pictures and stories directly from organizations she’s working with. Please read her blog here; lots of detailed things on what she and many organizations are doing. I want to start this post off by introducing a great organization: Globalgiving.org. I am sure many of our readers are aware of this site already, but it is a nonprofit organization that aims to “build an efficient, open, thriving marketplace that connects people who have community and world-changing ideas with people who can support them”. It links the donors to excellent grassroots organizations, and allows for the donors to track what the organizations are doing with their money with regular updates on their site. After the Japan earthquake/tsunami, Global Giving has set up their own fund, as well as other projects that donors can directly donate to. See how to donate to them at the DONATE TO JAPAN link at the top of our page. The rest of this post will share a personal story by one of the volunteers, as well as introduce the efforts of some of the organizations that Global Giving is endorsing that we have not reported on yet. You can see what they have done by navigating with the category links on the right. This touching story that was posted by a volunteer, John Ferguson in International Medical Corps. …When we arrived, we found that the village had virtually nothing. You can read more on what they have done in yesterday’s blog post. BHN borrowed an ambulance from a hospital that the head of the organization ran, and sent doctors, nurses, and a telecommunications specialist to Natori-city, Miyagi. At the farm house that the staff stayed at for a night, the staff received rice from the farmer to donate to the people there. 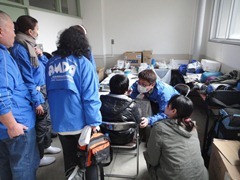 After meeting with doctors from Tohoku International Clinic, the team took care of 100 or so patients within the week. Ito, the telecommunications specialist, stayed behind to help out; he was from Ibaragi himself, and his house was affected by the earthquake.The doctors are continuing to go around the severely affected areas in the ambulance to see those who need medical help. Also, they have released a statement that they will start providing temporary internet facilities near Iwate prefecture to provide aid for the local government there. You can see their website here. This organization is distributing 15,000 Polaris all-in-one radio, light and cell-phone chargers by early April. This will be extremely important for the people in remote places who still do not have access to current information; the survivors will be able to use the radio to get more information about support services, radiation levels, and other crucial things. The light and phone charger will also help where electricity is still not at its full capability. More updates will presumably come after the Polaris have been distributed. Read more about them here. Not many immediate updates yet, as they will enter Japan and start building once Japan transitions from the relief phase to the recovery phase in emergency rebuilding. However, they have already entered Sendai and is conducting door-to-door needs assessments to determine what is necessary to make the rebuilding process as smooth as possible. Not only will they build houses for the displaced, but will also work with professionals to design safe and sustainable community buildings, health clinics, schools, and hospitals. Updates will be posted later on, and you can check their website here. Please support Global Giving and all of their fantastic nonprofits partners by donating. Click here for our page on a compilation of donation options! While addressing the physical needs of survivors in the affected areas of Japan is at the forefront of many nonprofits, several have stepped up to focus on a potential injury that is not always immediately obvious: mental health. International Medical Corps (IMC) Worldwide is supporting psychological counseling services via telephone. IMC Worldwide, an organization that provides “vital health care that focus on training,” previously supplied mental health guidelines for assisting those affected by the earthquake in Haiti. 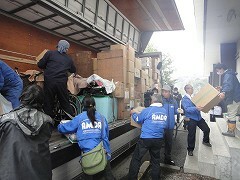 Their Emergency Response Team now turns to those affected on the “isolated coastal communities north of Sendai, including Ogatsu-machi, Minami-Sanriku, Kesennuma, Riken-Takata, East Matsushima, and areas north of Ishinomaki” and have assessed a that there is a “critical need” to address mental health. In these assessments, International Medical Corps has identified mental health as a critical need, as fatigue, stress, and insomnia are reported among many evacuees. An increasing number of children are developing asthma, mumps, and pneumonia in Minami-Sanriku evacuation centers, some of which is thought to be the result of stress. Meantime, high levels of anxiety are also prevalent outside of the affected areas as a result of radiation fears. As the horrific event sinks in, however, Ikuhara said he expected to see people with more stress-related issues. “Eventually when things stabilize when those life and death issues they’re going to be able to say ‘Oh my god I lost everything’ and that’s usually what affects all of us–that’s when emotions can take control,” he said. From the NYDailyNews.com article (Kyodo News/AP). IMC has partnered with both Tokyo English Life Line (TELL), an nonprofit that provides free confidential phone counseling (among other services) and Peace Boat, a nonprofit NGO based in Tokyo. IMC will provide training in “Psychological First Aid, computer equipment, and technical support” to bolster telephone counseling services with TELL, as well as help educate communities about available services through handouts and workshops. Peace Boat has been providing “hot meals, non-food items, cleaning services, and other community support activities” to those who are still living in their damaged homes. IMC will contribute “supplies, communications equipment, technology, logistical and possibly technical support in health promotion and reconstruction” to help enlarge Peace Boat’s efforts. 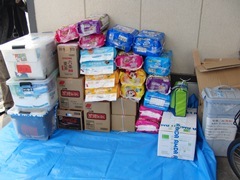 Donate toward Japan Relief and Recovery through the IMC here. Donate or Volunteer with TELL. 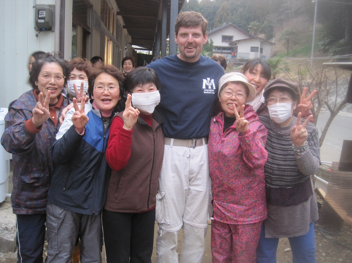 Learn more about Peace Boat’s efforts in Japan, donate, and/or volunteer here. 41 doctors, 20 nurses, 3 midwives, 1 assistant nurse, 3 pharmacists, 2 psychotherapists, 40 coordinators (including assistants and interpreters), and 4 careworkers, according to their most recent update. Photos from a recent AMDA update on their website (in English). Stay updated with AMDA’s efforts and donate to them here. GreatNonprofits today announced that 82 organizations working on important women’s issues across the country have qualified for the 2011 Top-Rated Women’s Empowerment Nonprofits List based on user reviews submitted during a national campaign in March. The reviews were posted as part of the 2011 GreatNonprofits Women’s Empowerment Campaign, conducted in partnership with GuideStar and a broad coalition of leaders in the field including, the National Council of Women’s Organizations, the American Association of University Women, the National Coalition Against Domestic Violence, Women’s Funding Network and the National Center for Lesbian Rights. Over the course of the campaign, more than 120,000 people visited the GreatNonprofits site to read and write reviews. A total of 187 nonprofit organizations working to empower women were rated and reviewed by stakeholders. In the process, a total of 1,558 new user reviews were gathered. All the organizations on the top-rated list received ten or more positive reviews. During National Women’s History Month, thousands of reviewers helped tell the story of how these organizations serve and empower women around the world. Among the nonprofits making the top-rated list is the Fistula Foundation, an organization committed to providing care for women worldwide suffering from this devastating health issue. The 2011 Women’s Empowerment Campaign ran throughout the month of March 2011, and all reviews submitted appear on both of the GuideStar.org and GreatNonprofits.org websites. The qualifying organizations that received ten or more positive user reviews are listed on the 2011 Top-Rated Women’s Nonprofits List. Just in time for Earth Day, GreatNonprofits today announced that 50 organizations working to protect and preserve the environment across the country have qualified for the 2011 Top-Rated Green Nonprofits List based on user reviews submitted during a national campaign in March. The reviews were posted as part of the 2011 GreatNonprofits Green Choice Campaign, conducted in partnership with GuideStar and a broad coalition of leaders in the field including, The Sierra Club and Environmental Volunteers. Over the course of the campaign, more than 120,000 people visited the GreatNonprofits site to read and write reviews. A total of 128 nonprofit organizations were rated and reviewed by stakeholders. In the process, a total of 1,147 new user reviews were gathered. All the organizations on the top-rated list received ten or more positive reviews. During the month of March, thousands of reviewers helped tell the story of how these organizations strengthen our environment and our planet. Among the nonprofits making the top-rated list is Panthera, an organization committed to ensuring a future for the world’s largest and most endangered cats through scientific leadership and global conservation action. The 2011 Green Choice Campaign ran throughout the month of March 2011, and all reviews submitted appear on both of the GuideStar.org and GreatNonprofits.org websites. The qualifying organizations that received ten or more positive user reviews are listed on the 2011 Top-Rated Green Nonprofits List. 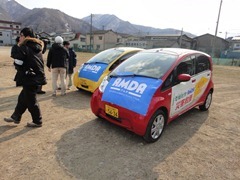 The Association of Medical Doctors of Asia, an organization that mainly provides medical assistance to countries in times of emergency, sent a team of doctors, nurses, pharmacists, and surveyors to locations in Iwate and Miyagi prefectures; a total of 56 people are now working in the field, and have been able to access even the heavily affected parts with electric cars and helicopters. They have also been providing medical supplies (medicine, vitamins, masks, IV equipment, flashlights, heat packs) that is needed in the areas hit hardest. 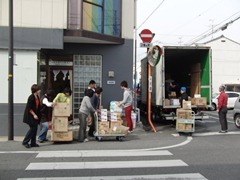 Food supplies have also been provided in conjunction with Okayama Cooperative Association, and include 700 instant noodles, 1000 bread rolls, 1100 drinks, 1100 fruits, and other disposable utensils. Here’s the page where they are updating on the current situation (in English).